Offroad Day 2: Ripping it through rocks, roots and ruts. 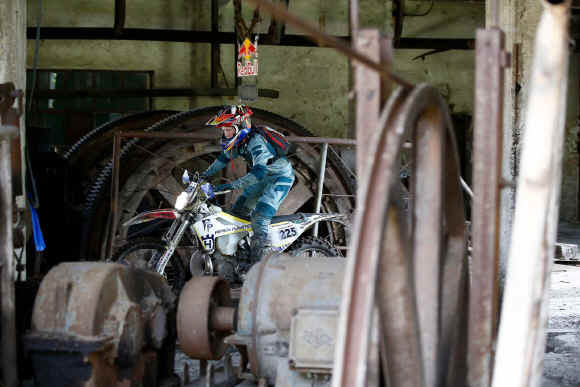 The Red Bull Romaniacs Offroad Day 2 was a tough one to wake up to. Competitors had a long gruelling Offroad Day 1 - wet, cold and muddy. The weather conditions had transformed the race track from tough to “beyond extreme”. Despite that, the majority of competitors had fought bravely and made it through the day - rendering organizer Martin Freinademetz quite proud and impressed with their passion, determination and skills. Not only was it the longest day from hell taking its toll on their bodies: once the competitors had made it safely back to the headquarters, their bikes were in desperate need for attention. But…that's the name of the game and it was only Offroad Day 1 of 4. Today it was back on the bike at 6.30 in the morning, something nobody looks forward to after a day like that. This morning the saving grace for all the riders was lining up at the starting arch to a sunrise over a cloud inversion in the valley below and not a drop of rain. The trails were not likely to be dry but rain and fog were not on the cards for today. Also, as announced in last night`s riders briefing, the track had been changed from the “Bad weather version” to the “Worst weather version”. The tracks were still technical and demanded good riding skills for the Bronze and Iron class. For the Gold and Silver class, “insanity” was not reduced, just the time they had to endure it. With the mostly blue sky and the drier conditions, the majority of riders got their spirits lifted today. 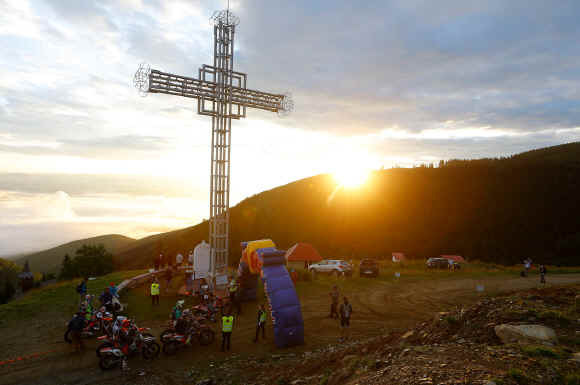 The track layout, terrain and weather conditions appeared to be favorable for Manuel Lettenbichler, Wade Young and Jonny Walker. Jonny is a two time winner (2014 & 2015) and was the youngest winner in the history of the Red Bull Romaniacs at the age of 23. Wade Young was the youngest rider ever on the podium (3rd in 2014 and 2016) and Manuel Lettenbichler scored a fourth place in 2016 and 2017. The trio ploughed through this mornings toughest sections at motocross speeds, taking turns in who was arriving at the checkpoints first and breathing down each other's necks. After the service point, the “young guns” Letti and Wade were able to distance themselves slightly from Walker, and kept duelling for every second. Sections like “Dragon spike”, “Straja rock garden” and “Bikini hill” became the battlegrounds for them to fight it out. “America's cup”, just before the service point, was the toughest signature section today. The chase secured Wade Young the win of the day (1st), Jonny Walker, just a few seconds behind, the 2nd place and Manuel Lettenbichler the third place. Overall position in the race: 1. Wade Young, 2. Manuel Lettenbichler, 3. Jonny Walker. Taddy Blazusiak finished 4th, Paul Bolton 5th, Billy Bolt 6th, Graham Jarvis 7th and Nathan Watson 16th. Michael Walkner led the Silver class ahead of Dieter Rudolf and Robert Nowak. Stefan Simpson was 5th, Dave Wood 11th, Josef Westgarth 15th, Grant Churchward 40th, Keith Maude 68th, Steve Roper 78th, Richard Baxter 82nd, Mark Kirby 87th and James Jackson 103rd. Mark Jackson was carrying a stomach bug. 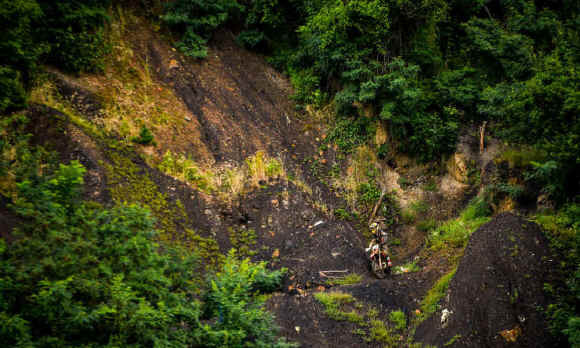 The Bronze riders were briefly haunted by memories of yesterday as they were confronted with a steep downhill which they had to ride with the Gold and Silver classes at the beginning of the day. There was great relief when their trail veered off to their own version of Offroad day 2. Frenchman Jean-Michel Vigand topped the Bronze class ahead of Kiwi Norman Thomas and Jond Christophe. Chris Ball was 6th. After the day from hell yesterday the Silver class were grateful for a more flowing day where they were able to stay on their bikes more and less time spent pushing and lifting it. 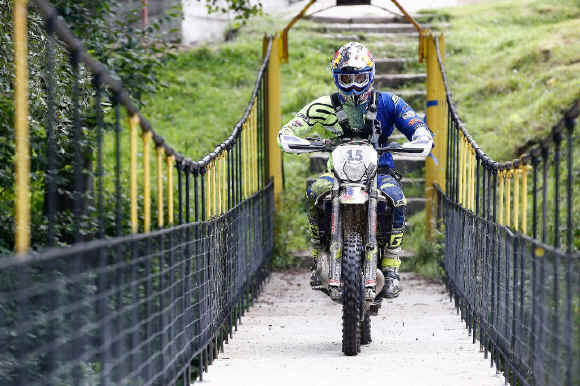 They were served a fine balance of all terrain types, including sections resembling “natural” versions of the Red Bull Romaniacs prologue such as the Straja Rock Garden. The Iron class felt relief for a really enjoyable and scenic day with open meadows with some steep sections thrown in to keep it challenging to the right degree.